The Heart Ministry offers a variety of services to its clients. There’s a food pantry, medical clinic, dental clinic, legal services, case management/social work services and job training/placement programs. While all of these things are helpful to those in need, the thing that matters most to us at the Center isn’t the services, but the people. It is extremely important to our team that everyone who walks through our doors is respected, welcomed and treated really well. During the time I’ve been fortunate enough to be at the Center, I have seen people be treated well over and over again. This point was really driven home for me a couple weeks ago when the Center held its first Fresh Start Job Training/Placement Program alumni group gathering. There were about fifteen of the program’s thirty-two graduates in attendance. At the beginning of the gathering we all sat around a table eating pizza and talking. After a while, the graduates went around the table and introduced themselves to one another, shared where they were currently employed and had the opportunity to talk about how they connected with the Center. As we went around the table I was really taken back. While I knew these individuals and I was familiar with their stories, something they all talked about was the opportunity they had at the Center to be part of something positive and to interact with caring people. 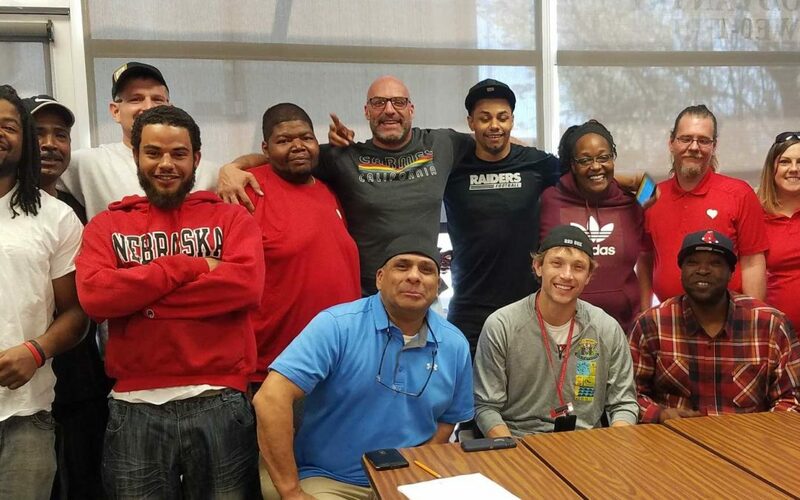 When one graduate shared his story, he talked about his addiction, his gang ties and his overall destructive behavior—he said that the Center was a place where he finally was held accountable in a loving way. He was supported, cared for and respected. He talked about how he was finally on a positive path. His next goal in life, which he is very determined to achieve, is to be a great father to his daughter. Another graduate talked about how they had been homeless and didn’t have anything positive in their life. They became emotional and said without the Center they didn’t know if they’d be alive. They talked about how members of our team—Conor and Dom—have helped them to move forward, cared for them and listened to them. A third graduate said that he was given new life by our own Mark Dahir, who told him, “Hi I’m Mark and I’m going to be honest with you…” He said that every day. It had been over ten years since this Fresh Start graduate had held a job and was confident in himself. He believes that people at the Center helped empower him to move forward. Hearing all of these stories from our Fresh Start graduates made me realize that when it comes down to it, the thing that really makes a difference is simply caring about people, treating them well and respecting them. Providing services to help someone move forward is one thing but caring about them while helping is another. People helping people is an extremely powerful thing. We are proud to be people helping people at the Heart Ministry Center.